A President whose wife has been assassinated; an energetic Chief of Staff, and an attractive Congresswoman are desperately seeking to pass some sensible gun legislation. But they can’t get it done without the aid of a contemporary Dea ex Machina. 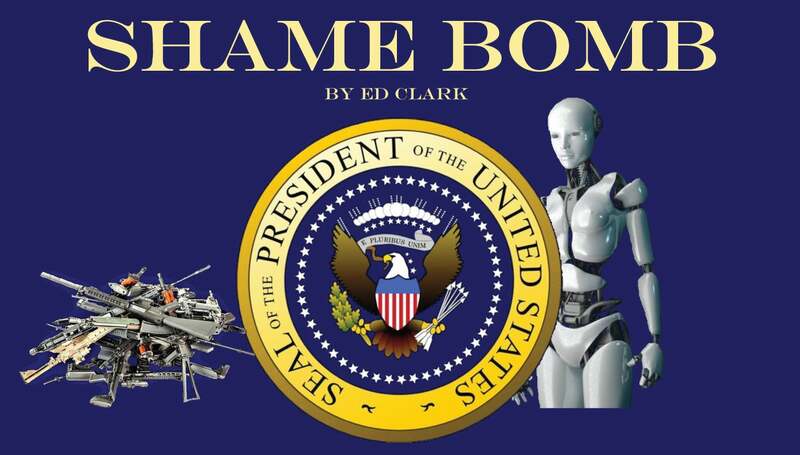 All of the above figure into Ed Clark’s satire, Shame Bomb.